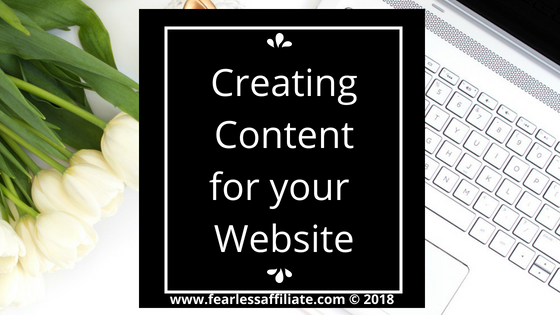 Creating content for your website is hard work! And do not let anyone tell you different. But at the same time, it is rewarding in a way that few things in this life are. When you get positive comments from visitors or requests to write specific content, well nothing feels quite so good! And you know that is because of what you are doing, you yourself and no one else! 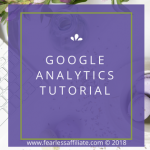 I used to think that bloggers were all just sitting around drinking coffee and watching their bank accounts fill up with money, but that is not exactly how it goes. One day, I want to be the person who writes from anywhere in the world about whatever I want, with my trusty laptop travelling the world with me. For now, I am building up a site worthy of that future. And you can too! 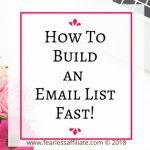 This is a great way to get started with writing posts and developing the heart of your website. Look at what you want to promote (your niche) and try to find 20 or 30 topics that you can write about for your audience. 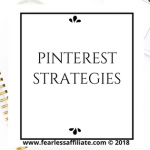 Imagine getting started with whatever your niche is…what do you want to share with people who are just getting started? What are the first steps? What comes next? Keep a document on your desktop with your ideas, and as you write about them you will naturally find new things to write about. 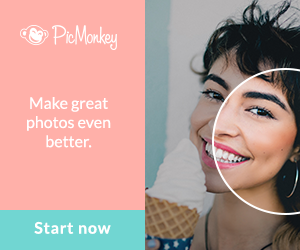 You will also get ideas from comments on your posts. Follow the flow of these ideas in order to help your readers learn and grow with your niche. 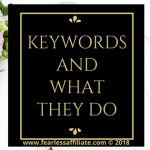 This is the number one rule of writing, and especially for an affiliate site. If you write reviews, then write HONEST reviews. And please, please, please do not write glowing reviews of crappy products, especially if you have never tried the product. This goes double for people who are only promoting tons of digital products, and likely have not tried any of them. I accept that not all products work 100% optimally for all people. But if I take someones word that this is a great product, and it is not, or other reviews on the internet say that this is indeed an inferior product, I am not likely to trust that reviewer. As well, if you write honest reviews, and they are accurate, you will gain credibility and visitors will be more likely to trust all of your opinions! Following up on that last point, be sure to tell your readers why you are promoting a product, especially if you have tried it. Do not be afraid to express your feelings about great products. If you thought the product sucked, but then something happened to show how great it is, tell people. Maybe the product does three things, and in your review it underperformed in two of them, but exceeded your expectations in the third area…tell people, because it may be that third area that they need the product for in their own lives; who knows. If the product brings up positive emotions within you, write about it! When you write a post, try to keep your audience in the forefront. Thinking of them while writing is a good habit to get into, and you can do this by incorporating your products and posts into stories. Like the time I killed my blender making mojitos after I forgot to turn the settings down. Everytime I used my blender after that I could smell the syrupy-minty-limey scent of goop in the gears…ew. Time for a new blender, and time for a blender review! Think about what your audience wants and how you can help them achieve it. For most of us, we are seeking a feeling whether it is freedom or security or success; it is different for everyone. Perhaps they just want someone to be honest with them so that they can move forward and make a change in their life. 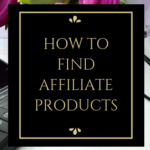 Promote products that actually help people and write posts that help people. Success is slower this way, but you build up an audience that will be with you for a much longer time and will be likely to take your advice on much of what you write about. In the early days of your website, you may not know what to write about…or how. While I would suggest just powering through those thoughts, there are alternatives. 1. Outsourcing: Yes, you can hire someone to do the work for you. www.upwork.com is a website of freelance writers and there are several sites like this out on the net. There are a variety of ways to hire and to pay writers, which gives you some flexibility; however this can be costly if you need to build up a lot of posts to add credibility to your website. 2. Content from Article Directories: Like ezinearticles.com. These are free articles, but as has been written in the past, you get what you pay for. For the most part, you cannot edit the content of the articles, so if it not a match to your site, you cannot fix this. Also, because anyone can get articles from these sites, you may be posting duplicate content. Only the first person to post the article gets credit for the content. Everyone else goes to the bottom of the searches with “supplementary results”. You also have to link to whatever link the author says, and you cannot add your own affiliate links. In other words, this is risky. 3. Private Label Rights (PLR) Content: If you purchase PLR content, then it becomes yours and you can do what you want with it. It is in your best interests to adapt any PLR content to your website, on the off chance that the entire article is being used elsewhere (duplicate content again). It is said that the PLR content that you purchase may be higher quality than the cheapest articles at places like upwork, but you will have to figure that out for yourself. 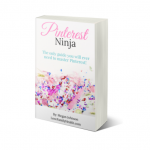 There are a lot of websites that sell quality PLR content like Piggy Makes Bank. If you sign up for a newsletter then you will get special pricing offers. 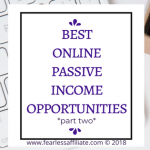 I am finding that the majority of PLR that I encounter come from websites offering PLR for business (i.e blogging) and the health and wellness niches. So if you are in either of these niches consider looking into PLR. Be careful of free PLR content, as most of it is outdated and is likely duplicate content by now. 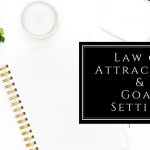 However, if you are hesitant to write your own content, you can download some free PLR content and then just use it to practice writing your own articles. You may be able to find content ideas by searching around PLR sites as well! 4. Blogging: The whole point of blogging was for people to be able to keep family and friends up to date on what is going on, so it is very informal and friendly and a perfect way to approach your audience. Essentially, if you can talk then you can write! Well, that is it for now. I hope this has been a helpful article for you, and if you like it, please share with others; the links are in the top right corner. If you have comments, please leave them in the box below, and thank you for visiting our website! 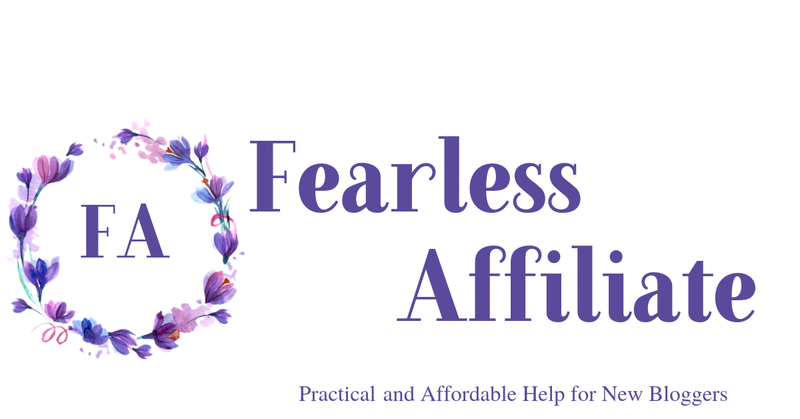 Can I be a freelancer and a blogger together? Hi and thank you for visiting today! Absolutely! You can do freelance anytime and work with Fiverr for example, and have a blog on whatever niche you choose. In fact, I would recommend it! Having multiple streams of income is beneficial, on the off chance that one of the streams “dries up”. I think an awesome goal would be to have at least 3 to 5 different ways to earn money. I appreciate your positive comments. I think that honesty shines through in writing and separates us from those who are just in it for the money. I wish you the best with your website and future successes! Hello Vesna and thank you for visiting us today! Great helpful article on this site, thank you! Hi Kit and thank you for visiting today! And thank you for your kind comments. I love how you seem to be speaking directly to me with this blog…so personal, so practical, so doable. 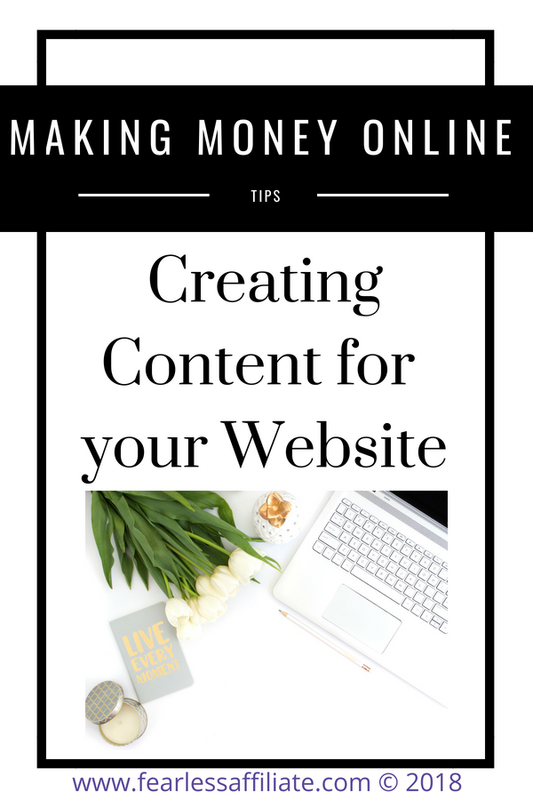 Great information and advice for a blogger who is working to build a business online. Thank you. I found your words encouraging, too. Awwh thank you Annie and thank you for visiting us today! Hello Nick and thank you for visiting us today! And thank you for you very kind words! Best of luck to you and your website; I am bookmarking it so that I can learn more about drones! I completely agree with you that blogging or writing content for your website is indeed hard work. Anything less will just be a waste of time since nobody will read it if they do not find your post useful and relevant. However, I beg to disagree in some ways, with your suggestion or recommendation to outsource your content. This is especially true if you are in the early stages of building your site. Why? It is because you won’t have the knowledge and proficiency yet to assess and evaluate whether the outsourced content that you get is of high quality and of value since you yourself lack the experience still. 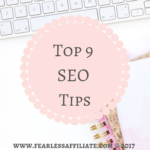 I would rather recommend work on writing your blogs yourself first and build on your skills and as you grow your website and in the same way you grow your business, then you can begin to consider outsourcing. The process of looking for a reliable and trustworthy writer to outsource with is a different topic altogether but that in itself is hard to find so that’s also another reason, why I don’t find it wise to outsource especially for inexperienced bloggers. I completely agree! I do not recommend outsourcing, however there will always be some people who do not feel that they have the skills to write about their passion. It is better for them to try outsourcing, at least to see what it offers, which will hopefully lead them to create content themselves when they see what they get for their money! I know that I was self conscious about writing, but I just ignored those feelings and moved forward, believing that once my writing improved it would hopefully coincide with more traffic who might not notice my inferior skills in my earlier posts lol. Hello and thanks for sharing this wonderful post, you are right about what you said. What you have written is an excellent guide to help both the beginners and those who may have been at this for a while. thanks for sharing. Hello Norman and thank you for visiting us today! I always write honest reviews, however, some other people describe the product as perfect so I thought that we may lose some revenue in the process. What do you think about it and what should we do to prevent it? Perhaps they think the product is perfect? I know some people get really excited about some things. When I read reviews like that, I tend to search the net for more reviews to see if everyone thinks the product is perfect. If I tend to believe the original writer, I will still purchase through them. Definitely, creating a valuable content for a website can be a very challenging. I like your tips and particularly found useful the information about the private label rights (PLR) content, and I glad I read your post! Thanks. Hello Olina and thank you for visiting today! Yes, the pitfalls of free PLR. 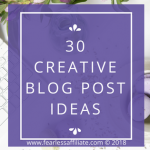 I got lots of great post ideas from them though lol. Hello Penelope and thank you for visiting us today! And thanks for sharing your experience! I have purchased free PLR articles in the past but did not try to outsource my writing, though I have bookmarked a few places in case I wanted to, so I am glad that you commented with your experience. Best of luck with your awesome website!